NOTE: THIS IS NOT AN INSTALLABLE FONT FILE. THIS ARE INDIVIDUAL LETTERS FILES FOR CUTTING! 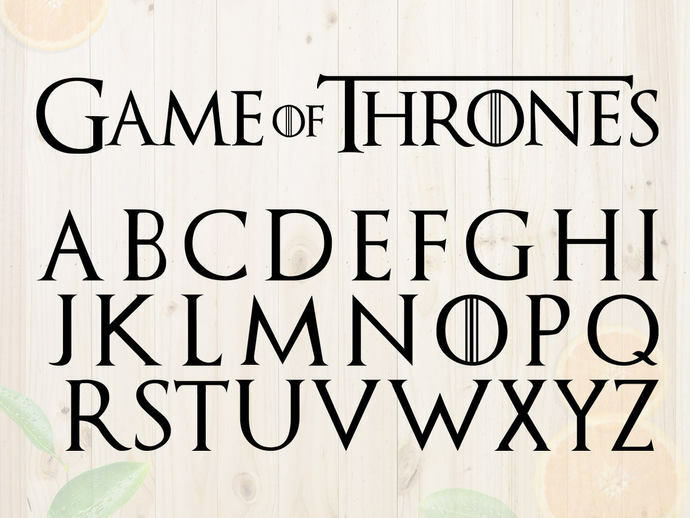 These Game of thrones alphabet Cut files are especially designed for cutting machines like Cricut or Silhouette Cameo. You can edit, resize and change colors in any vector or cutting software like inkspace, Adobe illustrator, Cricut design space, etc. *All colored files are layered per group of colors. Perfect for cutting in different color pieces. * You will receive exactly all files shown the picture. Please zoom in to fully appreaciate the images. If you have any doubts, questions or inquiry, please don't hesitate to contact us via etsy message. We'll be glad to respond you.